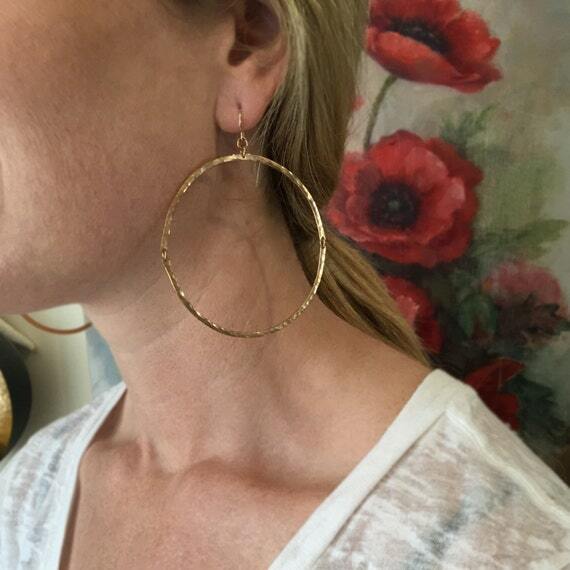 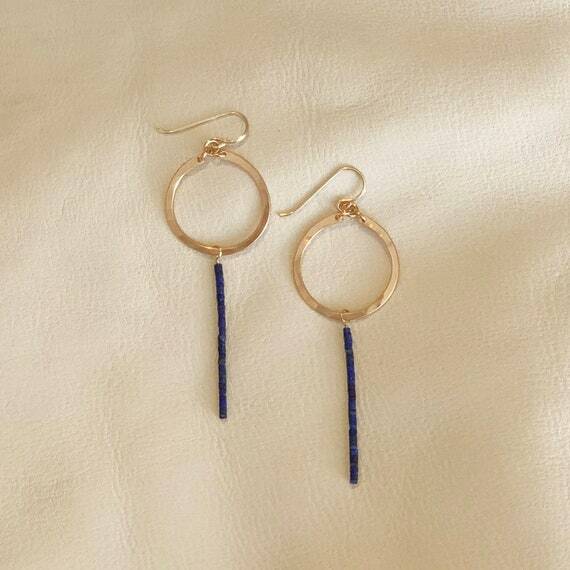 The Orbit Hoop earrings are a slightly different take on a traditional forward facing hoop. 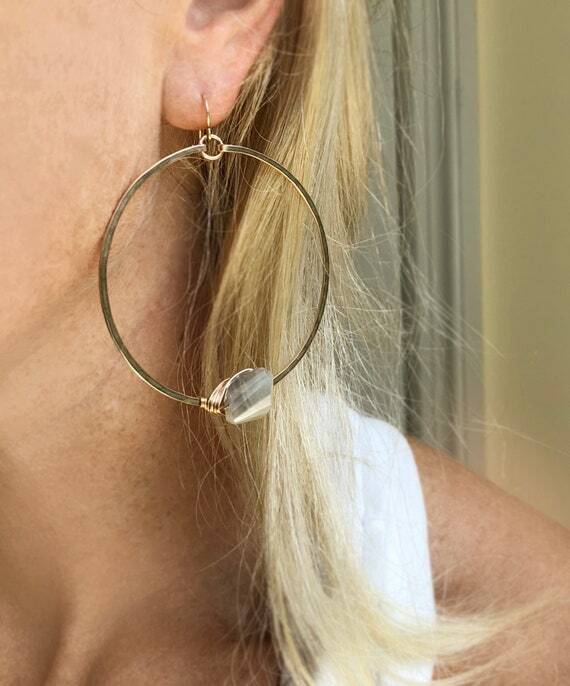 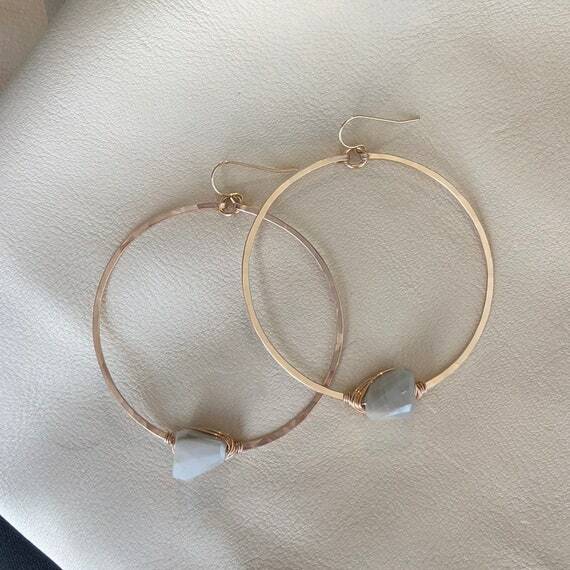 Pale grey to white faceted moonstones with subtle veining and an iridescent sheen are wire wrapped onto the front of the bronze hoop, giving them some minimalist flare. 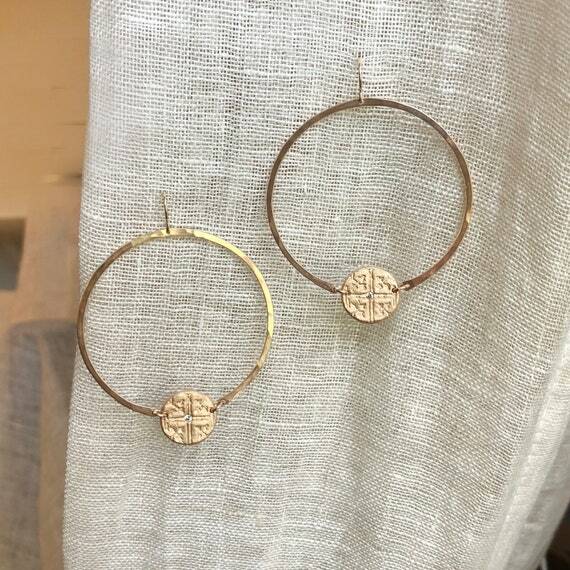 These are light weight and approximately 2.5" in diameter.